Athawale is upset that while announcing their poll tie-up, the BJP and the Sena didn't speak to him. On Sunday, the Union Social Justice Minister had expressed his displeasure over his party not being spared a single seat by NDA allies BJP and Shiv Sena while announcing their tie-up for the upcoming Lok Sabha elections. 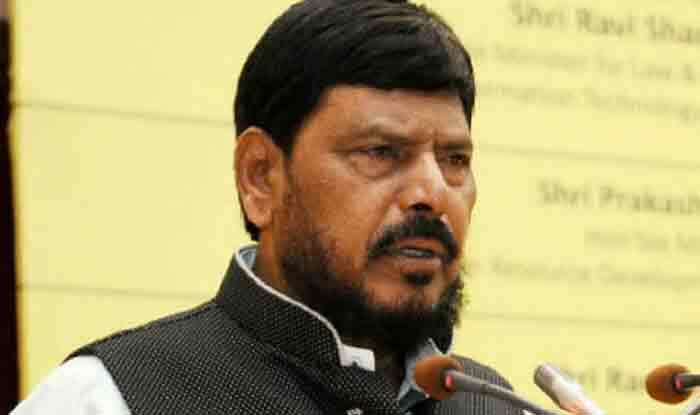 Athawale has been known to speak his mind on various occasions. Earlier, he had condemned the derogatory remarks made on Mayawati by BJP lawmaker Sadhana Singh and called the BSP chief a “strong lady” from the Dalit community. “Though my party supports the BJP in the alliance but any such statements are condemnable,” he had said in response to a reporter’s question.